BOOK INTO THE OPEN HOME SCHEDULE FOR THIS WEEKEND - TWO SPOTS REMAIN! Looking for a perfect low maintenance unit with an abundance of features? Look no further this! 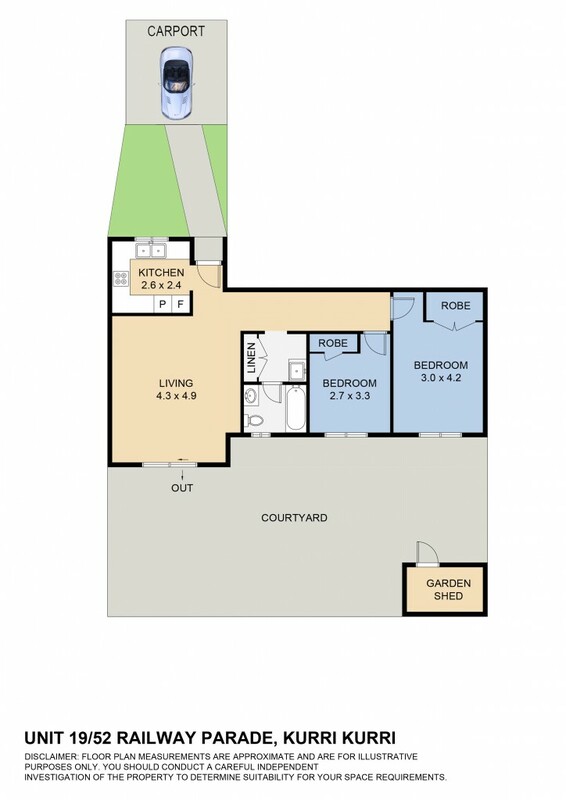 Featuring two good size bedrooms, this single level unit offers space, privacy and open plan living. Upon arrival you will be greeted by a single car carport with enough room to fit two extra cars on the allocated driveway. Inside, you will be greeted to an immaculate, functional kitchen with adequate storage and electric oven. A great sized combined lounge & dining area which includes two air conditioners as well as ceiling fan opens out to the courtyard of which features a shade sail, a garden shed and is a completely maintenance free area. Leading into the bathroom area is an internal laundry of which features adequate storage and is spacious enough to fit all the mod cons. The bathroom features a combined bath / shower and toilet. Both bedrooms offer built-in robes and feature ceiling fans. Both rooms are of decent size and the property itself, made of brick, creates a cool, airy home perfect on those summer days. Dial listing Agent Rob McCorriston on 0406 121 166 today to arrange a private inspection.